Dr. Bazzi completed her residency at University of Michigan Hospital, Department of Obstetrics and Gynecology, and earned her Doctor of Medicine at University of Michigan Medical School. Specialties and interests: improving postpartum quality of care, weight gain during pregnancy, chronic pelvic pain, vulvar diseases and long acting reversible contraception. 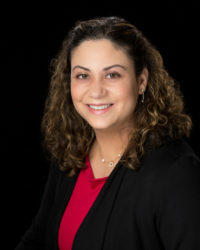 Dr. Hassouneh is a Harvard Medical School graduate who completed her OB/GYN residency at University of Michigan Health System and is certified by the Board of Obstetrics and Gynecology. Specialties and interests: adolescent health, including contraceptive counseling, behavior modifications and menstrual disorders; vulvar diseases; Arab and Muslim women’s health; and surgical and medical management of VIN, condyloma, vulvar dermatoses, vaginitis, vulvodynia, vulvar cysts or masses.